Winter is here and it’s time to start thinking about a spring getaway! Close to all that Harbor Country has to offer, Firefly Resort is the perfect option! With 18 cottages to choose from, you’re sure to find one that fits all of your needs. Take an inside look at Cottage #5 and Cottage #6 and book your getaway today! Whether you prefer to bundle up and get outside or stay in where it’s nice and warm, winter at Harbor County’s Firefly Resort is not to be missed! Enjoy winter sports such as just as cross-country skiing, snowmobiling and ice fishing. Or head to Four Winds Casino and try your luck at the casino or just relax with the their dining and entertainment. Harbor Country is full of other dining options as well from their numerous pubs, cafes and wineries. The beaches at Harbor Country can provide your very own winter wonderland. 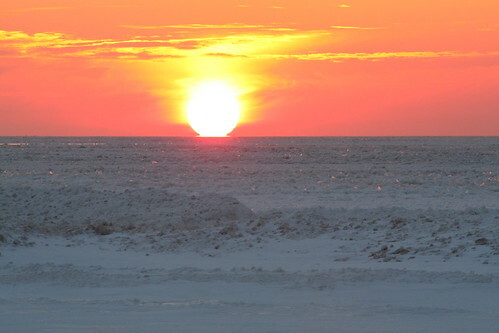 There’s nothing quite like viewing an icy Lake Michigan and the combination of fire and ice can be seen at every sunset. Looking for a post-holiday getaway? Our cottages can help melt away holiday stress, especially when paired with a spa visit. Firefly Resort is also the perfect choice for a romantic getaway. Book your cottage today! You are currently browsing the FireFly Resort blog archives for December, 2011.